Rocco Guerrera, CPA, is a partner at Simione Macca & Larrow LLP. Rocco has over 15 years of experience in providing audit and business advisory services to both public and private companies, including over 3 years of experience at PricewaterhouseCoopers. This experience includes reviewing and assessing control environments under the Sarbanes-Oxley Act of 2002, financial statement preparation and review, communication with top-level financial officers, and preparation of technical accounting memorandums. He performs audits of employee benefit plans, not-for-profit clients, including single audits, as well as clients in the manufacturing, engineering, and aviation industries. Rocco has been designated as an internal Firm specialist with respect to audits of employee benefit plans. 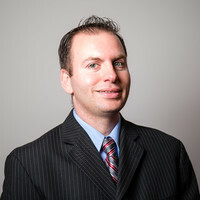 Rocco is a Certified Public Accountant licensed in the State of Connecticut. He is a member of the American Institute of Certified Public Accountants and the Connecticut Society of Certified Public Accountants. He earned a digital badge from the AICPA which designates him as an expert in audits of employee benefit plans. Rocco is also highly involved in the community, serving as the former treasurer of a non-profit dairy farm, and volunteering as a coach for his children’s baseball and football activities. Rocco received his Bachelor of Science Degree in Accounting, and Master of Business Administration from Fairfield University.